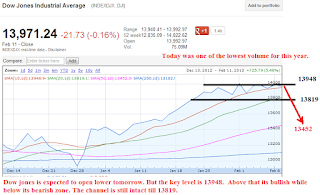 Stock market is expected to open low tomorrow. Its also ECB fine tuning operation day, so don't be surprise if the market rallies in the middle of the day without any news. This market is trading insane. Today vix, gold, silver, US dollar index, Dow jones and S&P500 all in red. Its very difficult to judge the market. Neither chart or news matter to this market. Avoid this market if possible and be in cash. 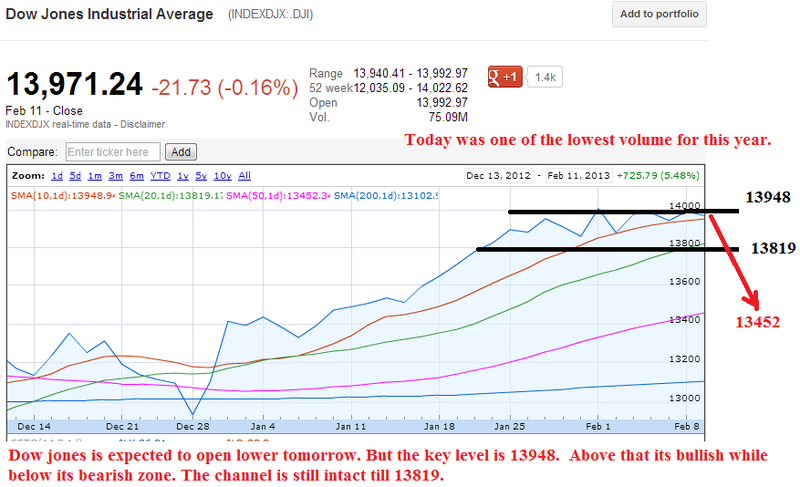 Dow jones is expected to open lower eventhough its fine tuning operation tomorrow.